Margarita Grill’s Bayou Quesadilla – Cook’s Corner News Story – WMUR New Hampshire. It has just been announced Sizzlin Sauces wins 3: 2012 Scovie Awards! 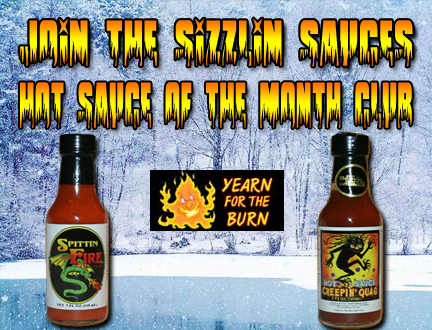 Sizzlin’ Sauces – Yearn For The Burn!